NEW YORK (WABC) -- Verizon Wireless announced the launch of a new technology that significantly boosts data speeds for some devices in hundreds of its markets Monday, including New York City. The company calls the technology "LTE Advanced." It kicks in when users are making large data transfers or during times of peak traffic on the Verizon network, a spokesman said. The speed boost is expected to provide 50-percent faster peak speeds than standard LTE, and with no additional cost to users. Verizon said it works by using software to combine two or three bandwidth channels into one larger channel. The new combined channel then takes the most efficient route, thus increasing overall speed. 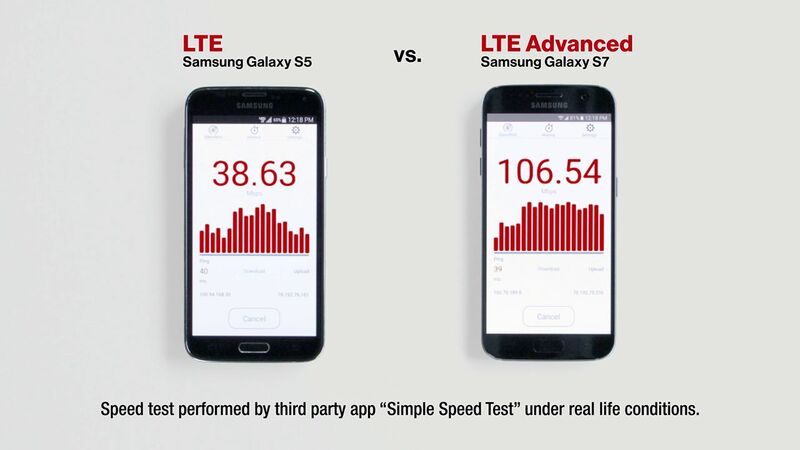 A comparison video from Verizon shows a Samsung Galaxy S5 on LTE reaching a peak speed of about 45 mbps, while a Samsung Galaxy S7 accessing on LTE Advance peaks out at about 106 mbps. The technology only works on the latest devices (currently 39), and in cities where this technology has been rolled out. 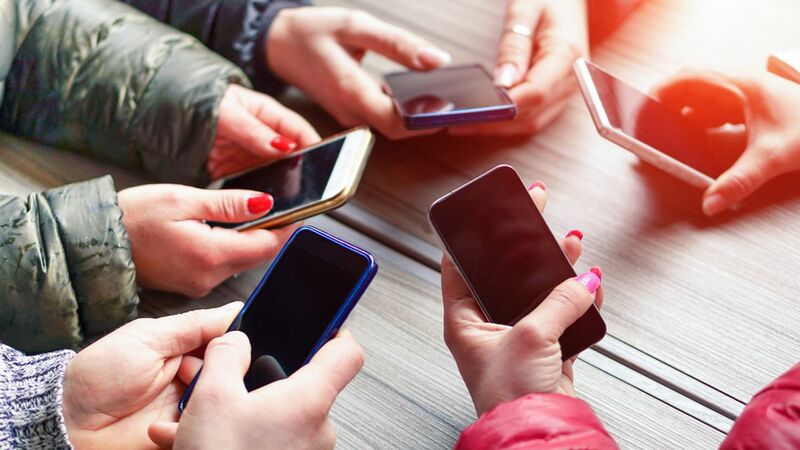 Verizon's network senses when a cellphone or tablet user is trying to download a big file, so it kicks in the LTE Advanced technology and accelerates the process. It's all seamless to the end user. The only way to know that LTE Advanced is working is that the data connection will be extremely fast. There's no indicator on cellphones or tablets to let users know the new tech has been triggered or is active. In order to take advance of the faster speeds, a user must have a compatible device. There are currently 39 devices that can support LTE Advanced (click here to see the phones that work with LTE Advanced). You'll also want to make sure your device's software is up to date. For Apple devices, compatible devices go as far back as the iPhone SE and iPhone 6 and include the 6s and iPad Pro. For Android, the HTC 10 and Samsung Galaxy Note7 and S7 support the new technology, along with the Motorola Moto Z Droid and Moto Z Force Droid. You also need to be in one of the 461 cities in the U.S. where LTE Advanced is supported. Click here to see the list. Eyewitness News reached out to both AT&T and Sprint to see if each offers its own similar accelerated data technologies. "Verizon today announced two-channel carrier aggregation and three-channel carrier aggregation. We've had two-channel carrier aggregation in our LTE Plus Network since November 2015 and our three-channel carrier aggregation deployment is underway with 500 sites on air today in Chicago." The spokesperson added that a test Monday at Soldier Field in Chicago Monday results in download speeds of more than 230 Mbps. "Over the past two years, AT&T has strategically deployed its LTE-Advanced network in a number of markets across the U.S., mostly in high-density, high-traffic areas. Our roll-out covers the majority of our LTE POPs. We continue to deploy, not just LTE-Advanced, but also additional spectrum and equipment on an ongoing basis to further boost our network performance."